March 8, 2018 – Today, Leica announced an unprecedented special edition of its unique digital rangefinder camera with a black-and-white sensor: the Leica M Monochrom (Typ 246) ‘Stealth Edition.’ Limited to just 125 sets worldwide and designed by Marcus Wainwright, CEO, Founder and Creative Director of the New York-based fashion brand rag & bone, the special edition camera and accompanying Summicron-M 35 mm f/2 ASPH. lens matches Leica’s high standard for quality and craftsmanship, with a new twist. 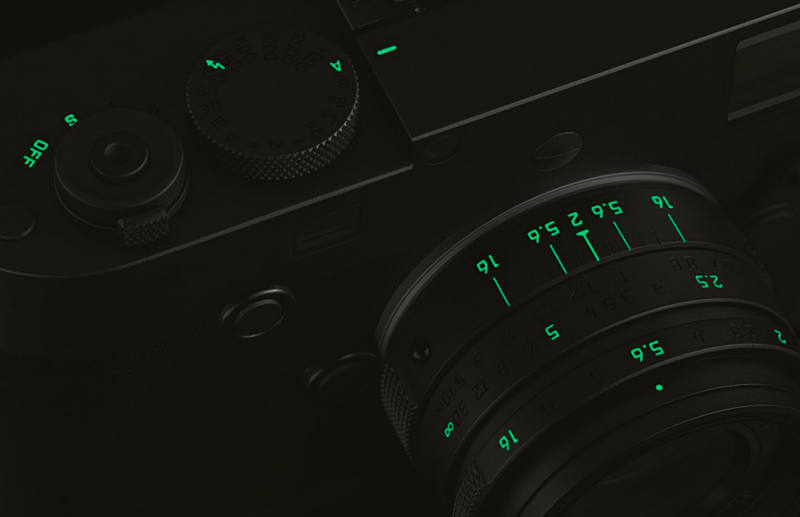 With the M Monochrom camera, Wainwright, a longtime Leica photographer and enthusiast of black-and-white photography, has intensified the highly coveted unobtrusive nature of the camera with a unique matte black look and glow-in-the-dark accents for added functionality. “For me the Leica M system personifies the pursuit of perfection in an object designed for a singular purpose. Inspired by that, I was aiming to try and further refine and perfect the M Monochrom - an almost impossible task - by distilling it to its purest form and highlighting the stealth nature of the camera and lens,” Wainwright said. Staying true to Leica’s integrity and his focus on the essentials, Wainwright sought to perfect the iconic design of the Leica M camera with an aesthetic that marries purity with function. The ‘Stealth Edition’ of the Leica M Monochrom is quite possibly the most discreet camera on the market today, with both camera and lens dressed in an unassuming black matte finish and minimal branding to eliminate any distractions from the purity and integrity of the design. Only the most important engravings for photographic settings are highlighted on both the camera and lens, each crafted with a with a striking glow in dark fluorescent paint for optimal use in low-light situations. A jet-black, extremely smooth cowhide leather trim adds a layer of texture to the camera and excellent grip for the on-the-go photographer. The ‘Stealth Edition’ set maintains all the hallmark features of the original M Monochrom (Typ 246) and Summicron-M 35 mm f/2 ASPH. lens. The sensor of the Leica M Monochrom is liberated from color filters, recording only luminance values to capture light with unparalleled sharpness and integrity, even at high ISO ranges. Along with its low susceptibility to image noise, bright viewfinder and rangefinder, ultra-quiet shutter release, and unique design, the ‘Stealth Edition’ set enhances the pursuit to “see in the dark” by broadening horizons for available-light photography and the creation of dynamic atmospheric images. Meanwhile, the lens has the classic street photographer’s focal length of 35 mm and impresses with high imaging performance and uniquely pleasing bokeh. Despite its high speed and exceptional image quality, its dimensions are astoundingly compact. Paired with this lens, the Leica M cameras become extremely compact, versatile and elegant photographic tools. The Leica M Monochrom (Typ 246) ‘Stealth Edition’ will be on sale from March 20, 2018. The edition is strictly limited to only 125 camera sets worldwide, each of which bears a distinctive serial number. The set also includes a comfortable, black fabric carrying strap, a metal front cap for the lens and a certificate of authenticity.